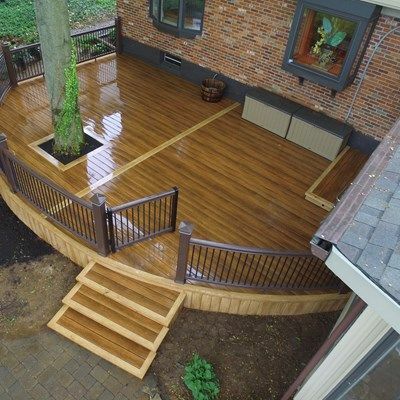 The crew built a beautiful curved deck for this customer. We incorporated an existing tree. 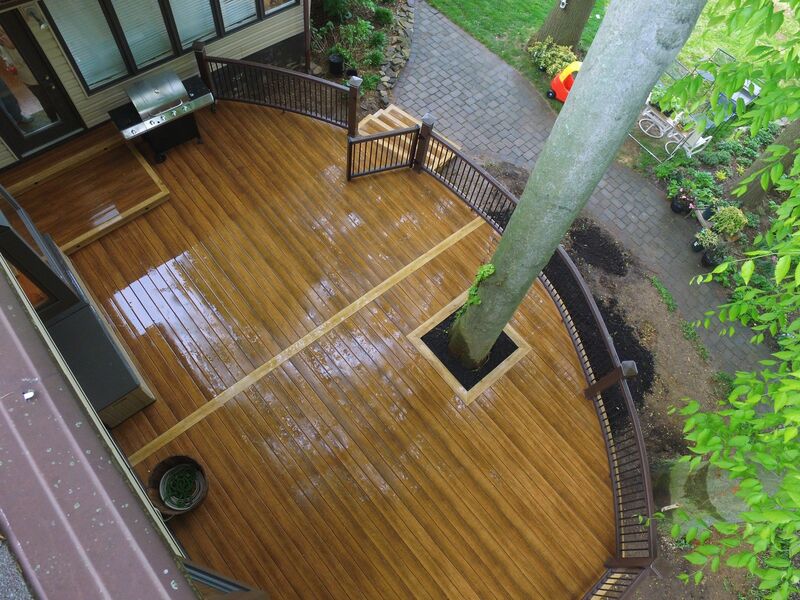 Decking has an inlay accent board around the entire outside, down the center, and on each tread. 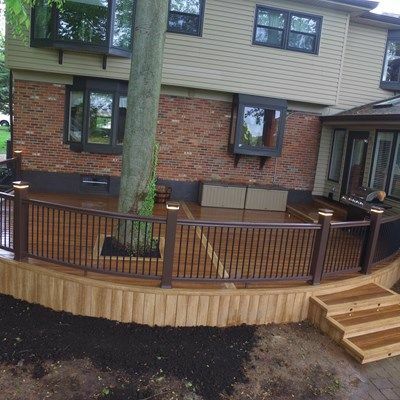 They used the Timbertech Radiance Rail system complete with black aluminum balusters. They also added a lighting package (Post cap lights & riser lighting).